Restaurants to Visit – or ‘Things to Do’ Updated! On a slightly windy and very hot Stellenbosch day at the start of the University year, we decided to venture into town for some lunch. After checking out various options and realising how busy all the restaurants were, we opted for Helena’s Restaurant in Dorp Street. Despite some unexpected load shedding (basically an electricity outage for non-South Africans!) 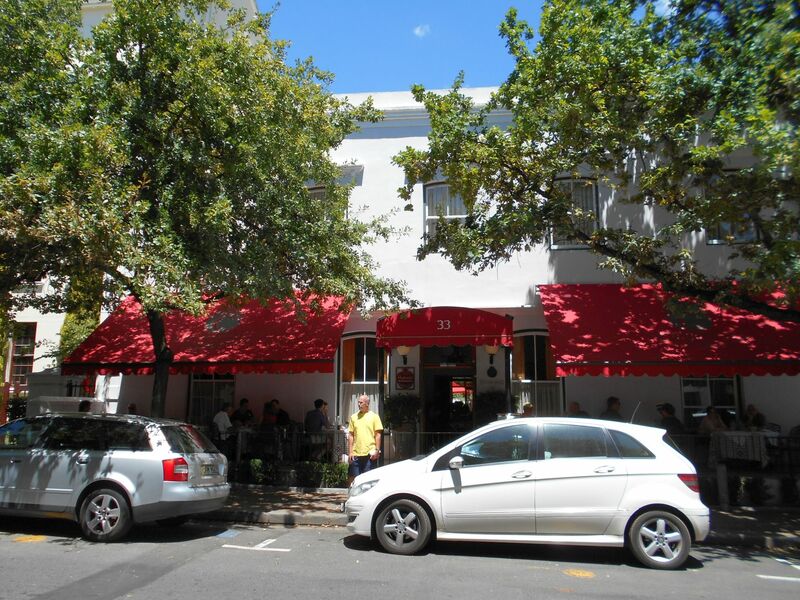 we were seated straight away at a lovely table outside facing onto Dorp Street. Helena’s Restaurant is the restaurant attached to and serving Coopmanhuijs, which is a small boutique hotel and spa popular with foreign travellers.